How to Get Kids to Sleep – Children thrive on having a routine and as we all know, bedtime is no exception! A consistent and positive bedtime routine can assist with your child quieting down, understanding bedtime is near and having a good quality sleep. Current Sleep Time: Determine when your child naturally falls asleep for the night. This is an ideal ‘temporary’ time to use for your bedtime routine as it co-insides with their current sleep patterns. For example, if you child currently falls asleep around 9pm, trying to impose a 7:30pm bedtime can lead to frustration for everyone involved. 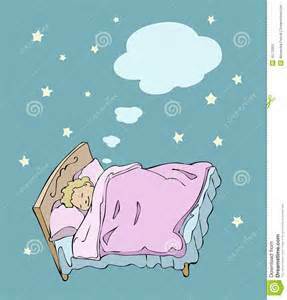 Plan for a 9pm ‘lights out’ and then every few days, move this bedtime by ten minutes closer toward the ideal time. The twenty minutes prior to bedtime should be used wisely: Use the 20 minutes prior to bedtime to establish a routine and engage in a positive interaction with your child. Try to minimize distractions for both of you such as cell phones, TV and other devices. This is the perfect time for positive attention as well as praising your little one. You can have more than one activity in your pre-bedtime routine: A bedtime routine can go well beyond just reading a book. A gentle massage, reviewing the day’s events, a night time feeding (for babies) and even a few child appropriate songs can all be integrated into the routine. The trick is to keep it consistent and non-invigorating, so your child knows what to expect but doesn’t become overly excited because of it. Not all activities have to be done inside the bedroom: A positive bedtime routine can include reading, a night time feed for infants/babies and even story time outside of the bedroom. Be firm: Once the positive period has ended, let your child know it’s now time to go to bed. Give them a final hug and kiss and leave the room. Be Consistent: At Alpha’sPreschoolAcademywe have helped put many, many little ones down for their naps. We find a consistent and positive routine works wonders for them to fall asleep. By turning off the lights it makes for a less stimulating environment. Also, soft music and gentle patting on the back helps them to get settled and relax. It may not seem like a lot, but even small changes in the music and lighting can signal that it’s time to get ready for bed. A bedtime routine for your little one can be a very pleasurable routine once they get use to it. Keep it consistent, be positive and give them your full attention. Follow these simple guidelines and hopefully it doesn’t take long for your child to be sound asleep!